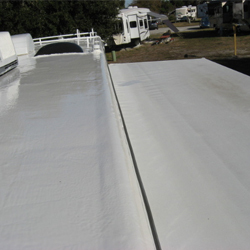 EPDM "Liquid Roof" was effective in eliminating the leaks in my RV roof. I had water intrusion that I was continually trying to remedy with RV chaulking and patches. This effort proved to be ineffective. I discovered Liquid Roof via the internet, and really did not know any others who had experience with this product. Our local RV Store only sold emulsion based sealers and could only comment that EPDM is "expensive". It took a late and prolonged rainy season to finally convince me to try "Liquid Roof". Once ordered, the product arrived in 5 business days without issue. 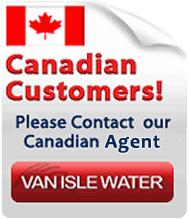 Within 24hrs of application we received ~1/2" of rain and no water was noticed in the RV. True to their word, the product was water resistant upon application. By the end of the week we had received over 2" of rain and happily no water in the RV. Because of the wet and cooler weather it took a couple of weeks before the coating lost its tackiness and fully cured. It has been approximately 1 month since application and I am very pleased with the "Liquid Roof" and hoping for several leak free seasons. I highly recommend this "Liquid Roof". The additional money spent for this quality product is well worth the saving in time, frustration and multiple tubes of inferior sealers. I have used your coating on two of my trailers now that had leaks and it has leaded them up for the whole season. Great product, would recomend to anybody. thanks for hepling me with my problem roofs. Cleaning the roof before using this product was the hardest part applying the liquid rubber was simple as pouring out and spreading it around. 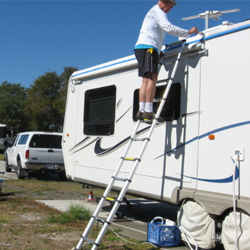 i was worried about bubbling of this product but after five days the roof is flat and smooth and looks very good and looks to seal around vents and pipes very well i used five gallons for my 30 foot camper and would use this product again. Our roof was in such bad shape before we realized it that we ended up with a completely soaked through bed. After researching different products, we decided to use the EPDM Coatings. After the quick shipping, we got right to work. The instructions were simple enough and it only took about 2 hours to apply the liquid roof. The next day, it rained and the roof got put to the test. We checked inside and there was no moisture at all. The water beaded up on the roof. What a relief. So far we are extremely happy with the results. I have a 1996 25 foot camp trailer that has a rubber roof that needed coating. I did a lot of research before deciding on Liquid RV Roof. I already know that EPDM roofs are great and I was very happy when I found this product. The trailer roof had just a few very small holes and one small tear at the edge about 1-inch long. I washed the roof with a high pressure hot water washer and a great degreaser. Almost all of the old coating came off. I chose not to patch or reinforce any of the small holes. I opened and mixed the Liquid RV Roof product as per the instructions. With a friend to help me, we began to apply the thick mixture. It was a breeze to apply. Having a squeegee and roller is key. We applied on a nice cool day at about 70 degrees. We chose to do it in a location free from trees and debris. We applied about three gallons to the roof. (I bought 5 gallons...oops should have measured...not guessed) It only took about 1.5 hours to complete the application including doing the edges with a brush by hand. It took about 72 hours for the wrinkles to flatten. The small tear and pin holes were coated perfectly and sealed great. I finished the painting of my roof yesterday with Liquid Roof, an EDPM rubber in liquid form. The results turned out great. Here is the product I used and the process I went through http://www.epdmcoatings.com First, I scrubbed the roof with a bit of Awesome Cleaner from the local Dollar Tree store. I mixed in an ounce or two of auto liquid cleaner also and added a few gallons of water in the bucket. This did a good job of cleaning the roof. I let it dry overnight and then taped the edges all around the whole trailer with blue painter tape. This job took me a few hours and I was bushed from going up and down the ladder so quit for the day. That night we had a heavy rain and here is what the roof looked like the next morning. I let it dry out well and about noon I was ready to begin the paint job. 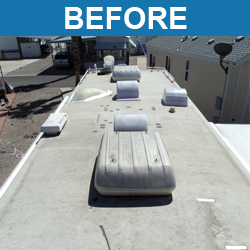 As you can see from the above pictures, my roof, which is about 8 years old was losing it's coating and had many spots which were caused by both bird droppings and "berries" from the local palm trees. I try to clean my roof at least twice per year but it was time to do something about its condition. I started out by mixing the product with the catalyst. It is advisable to rent a mixer that has the power to do the job. 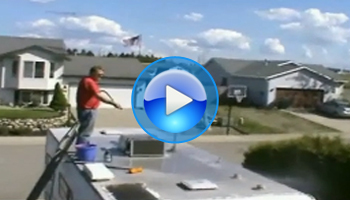 The Liquid Roof is very heavy and will burn out a normal 3/8 or 1/2 drill motor quickly. You need to mix it thoroughly which takes some time. I rented a mixer from Home Depot for $12 for a whole day. Well worth it! Here is the mixer I used. It is advisable to have a helper available to hold the can and pour the catalyst into the product. It will take both of your hand and feet to control the mixer as the product is very heavy and thick and causes a lot of drag and twisting force on the mixer. After mixing in the catalyst, you have about 4 or 5 hours of working time with the product. I purchased the product in one 1 gallon can and one 4 gallon can. I mixed up the 1 gallon first and used that to do around all my "stuff" up on the roof and around the entire perimeter of the trailer. I removed my vent covers for the cutting in and then replaced them before doing the rest of the roof. This used up about 3/4 of the gallon. The rest I used on the top of the roof. The product is supposed to cover about 40 sq feet per gallon if applied as a 20mil thick coating. That turned out to be a very accurate figure as I had only a small amount left when I finished. Here are a couple of pictures of me doing the trim around the edges. That "supervisor" is my good buddy Jim, a retired Navy Master Chief who also helped me with the mixing of the product. After doing the edges and cutting in the opening on the top, I got busy doing the rest of the roof. I made a mistake thinking I would just pour the stuff on the roof and spread it with the roller. It is too thick to just use a roller and a squeege is needed. You pour a line on an area, spread it out with the squeege and then smooth it with the roller. The stuff is self leveling so you don't have to worry about ridges or getting it perfectly smooth. The idea is to try to get a nice even coat. I don't have any pictures of this process as nobody else would climb up on my roof and my hands were too sticky to operate a camera. This product is very sticky and you must wear old shoes and old clothes as you will get some on you and the equipment. It cleans up with paint thinner or mineral spirits but I just threw out the squeegee and paint brushes and rollers. Some Tips others haven't mentioned. This a great product, EPDM Rubber for roofs. It is easy to mix and easy to apply. I had a roof job where a company applied a "torch down" rubber system on my flat roof. They made several critical errors in the application of the torch down. Two added roof repairs and four internal ceiling repairs later and the roof seemed tight. Once you are burned by incompetent roofers you become a cynic quickly. Because of arbitration I got some of my money back. I certainly did not want those bozos back on my roof. Water stands on my flat roof in various places. I decided to apply a coating of EPDM Rubber over the roof for added measure. So I bought a gallon and applied it in a critical area. It stayed tight and looks great. I waited for several months during the rainy season and had very positive results. I then bought a five gallon pail and applied it to a larger surface. Looks great and adhesion is fabulous. It bonds great with no distortions of bubbles. I think the easiest thing was that I had a fairly solid surface with which to work. So, cleaning and surface prep seems to be critical. If you prepare the surface well your application and results will be outstanding. 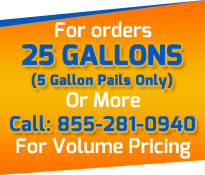 I just ordered two added five gallon buckets and plan to coat the remainder of my roof. I use a short nap roller and it goes on with ease. I fully recommend this product for roof repairs. Just follow the directions and anyone can do this with completely positive results. I would like to thank you guys. I have tried just about everything out there and nothing worked. The hardest part of the job was mixing the hardener. What was really amazing is how the roller marks just disappeared in a couple minutes as the material leveled itself. Really quite a good product. 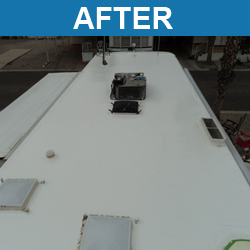 My 1998 Overland Lorado motor home has an EPDM roof that is showing its age. Chalking and small cracks are evident and the roof has had numerous repairs by the previous three owners. I researched roof coatings on the internet and concluded that Liquid Roof was the best product for restoring the roof. I live in Boston and have trees overhanging my driveway so I decided to apply the Liquid Roof while in Tucson Arizona while staying in a RV resort. I ordered 8 gallons on Monday and it arrived on Friday, much faster than I expected. I bought the tools at local stores (paint brushes, roller, squeegee, wire brush and cleaning supplies). I found the Instructions and You Tube videos helpful in planning the project. Preparing the roof took about 10 hours (cleaning, brushing, patching with butyl tape and taping edges). Applying Liquid Roof took about 6 hours and most of the time in the mixing and painting the edges using a brush. I found a hand held 12 squeegee worked well in the tights areas of a motor home roof. This was a one man job and can be done by someone with moderate home handyman skills. The roof looks great and I expecting many years of added life with no leaks.